Political leaders and analysts tell The Irrawaddy what they expect to see from Wednesday’s meetings between Aung San Suu Kyi, Thein Sein and Min Aung Hlaing. RANGOON — More than three weeks after the Nov. 8 election, National League for Democracy (NLD) leader Aung San Suu Kyi will visit President Thein Sein and military chief Snr-Gen Min Aung Hlaing in separate meetings on Wednesday. An audience with both men has long been sought after by Suu Kyi, whose party swept the November poll and will almost certainly form government when the election of the next president is put before the Union Parliament in March. 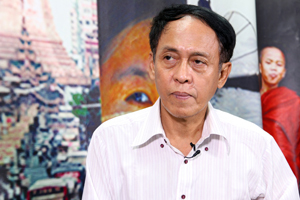 Efforts to broker a dialogue with Thein Sein, Min Aung Hlaing and Union Parliament Speaker Shwe Mann were repeatedly delayed since Suu Kyi’s election in 2012. 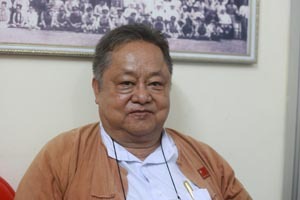 A meeting of the four along with Arakan National Party chairman Aye Maung and Upper House Speaker Khin Aung Myint was held in April without any firm commitments beyond future discussions. 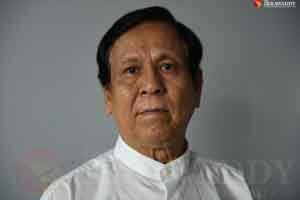 Shwe Mann has formally met with the NLD leader since the election. The Irrawaddy spoke with political leaders and analysts about what they expect to see from the Wednesday meetings. 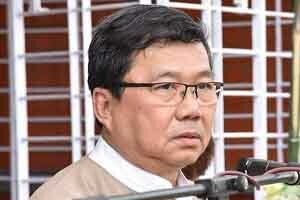 “After the NLD secured a majority seats in the parliament, everyone has been expecting these meetings to happen. At first, people thought they would meet a week after the election results were announced…so there were concerns about the delay. But now that it has been arranged, I see it as a positive sign for the country. I hope they discuss a smooth power transition and other important matters like continued armed conflict in the country. Top Photo - ((Soe Zeya Tun / Reuters) ) Snr-Gen Min Aung Hlaing looks to Myanmar pro-democracy leader Aung San Suu Kyi during Burma’s six-party talks in April.